Modern society lives in the new civilization period, which qualitatively differs in its characteristics from that which existed even 20 years ago. The fourth industrial revolution is underway, engendering new requirements to the economy, manufacturing, education, science and technology. Integration processes take a special place in the conditions of global transformations and of rapid changes in all spheres of society. These processes are, first and foremost, science and technology integration guiding the development of economy, education, security, production, social welfare and industrial development around the world and in individual regions. Currently, the Eurasian space is one of the most striking examples of the transformation caused by the integration processes. 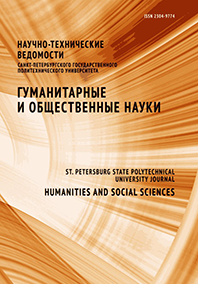 In this article, the author notes the position of modern scientific and technological integration in the Eurasian region, describes the specifics of these processes, including the case of Peter the Great St. Petersburg Polytechnic University, as one of the leading technical universities of Russia and Eurasia.